To access Analytics, click on Manage account. In the Account Management section, then click on Analytics. 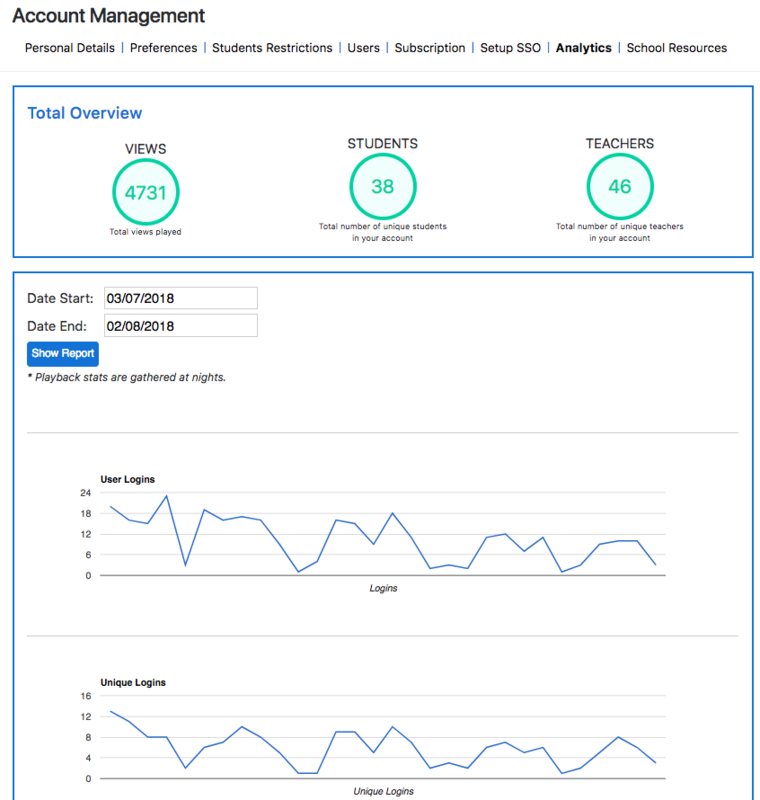 The Analytics screen will then give you a Total Overview, a snapshot of your Views (Total views played), Students (who have an account) and Teachers (who have an account). User logins will give you a graph for the time period selected, showing the total number per day of user logins. Unique Logins will show you a graph of how many Unique Logins you have had within the selected time frame. A unique login shows how many users have logged in, rather than the total logins (including multiple logins for one user). 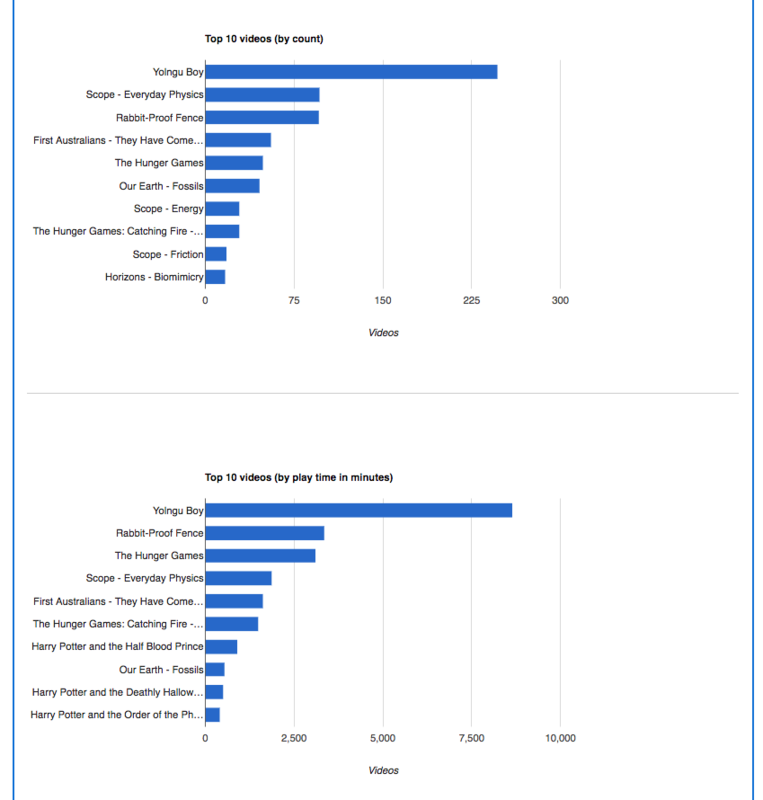 Top 10 videos (by count) is the graph that will show you your top 10 videos by total plays for the selected date range. 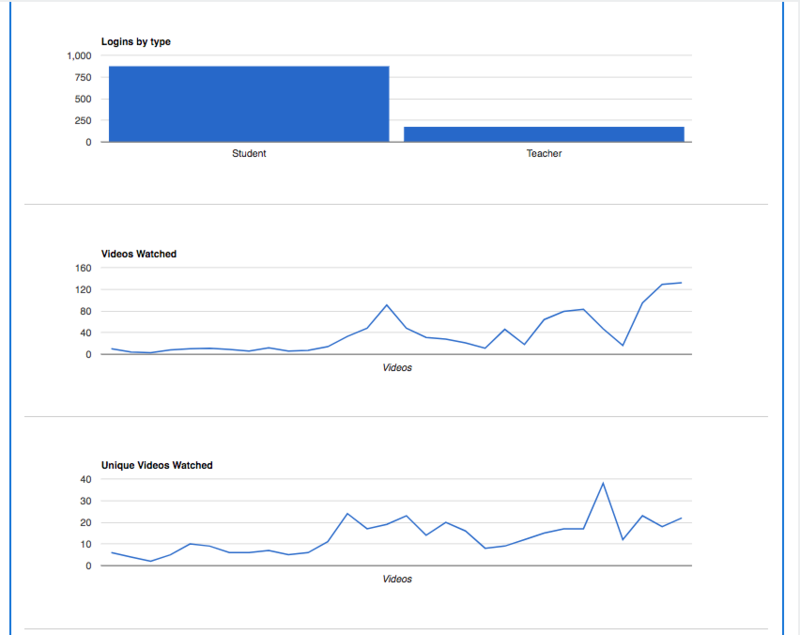 Top 10 videos (by play time in minutes) is the graph that will show you your top 10 videos by play time in minutes for the selected date range. Click on DOWNLOAD to download a spreadsheet of your schools Watch history. Which will include a breakdown of the usage including the usernames.